Witty and moving monologues about the reality of living with migraines.... cue violins. Cindy Lou McCain, wife of Senator John McCain, has had a well documented history of health problems. Not many know, however, that she has - for more than 20 years - suffered with migraines. She recently appeared on The Today programme to launch the 36 Million Migraine Campaign, with The American Migraine Foundation, with the hopes of raising money for migraine research. The idea is that if each of the estimated 36 million migraine sufferers in the USA, or someone who knows or cares for them, gives just a $1, then a substantial sum of money will have been raised for research. Maybe we should launch an 8 Million Migraine Campaign here in the UK! You can watch Mrs McCain here, or below, the segment also features another sufferer who has found some relief via Botox. What do all think? 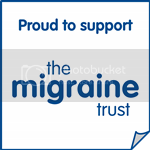 I wish more people of profile would speak up about migraines! It's interesting to hear her talk about the campaign. She is right about the meds though - we get leftovers haha! Leeches to be used for Migraine Treatment? Getting Rich & Skinny off Migraine Medication: Topamax Part I. Plugged into my TENS – pain reliever extraordinaire. What Does A Migraine Feel Like? Christmas Migraines Past, Present but not Future. Guest Blog Post! 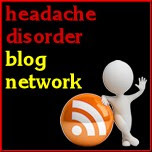 Hypnotherapy For Migraine; Not What You'd Expect. I've had migraines since I was 18. I'm now 21. OK, I'm really 32 but look at least 26. I'm a Writer, mainly dramatic, by this I mean for Theatre and Film/TV. I'm also a Dramaturge (I'll help you with your writing.) Although I have three Masters Degrees I still can't spell properly and have not mastered grammar. Two of my Masters degrees are from American Universities so I get confused between American and British grammar. My big sister says this is not a valid excuse. Did I mention I have bad migraines? I love Musicals. I love Tina Fey. I have long red hair. This blog is not intended to be, and should not be construed as being, medical advice or a recommendation to take any medicinal drug. Readers should always seek a professional medical opinion in light of their own symptoms and circumstances. Victoria Saxton © 2012. Picture Window theme. Powered by Blogger.